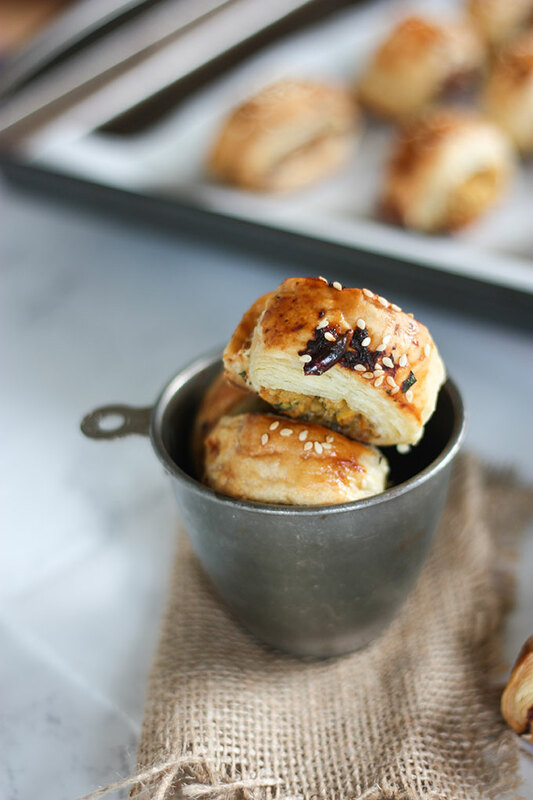 These Thai chicken sausage rolls are perfect for game day entertaining! Quick and easy to make, and easily able to make ahead of time! This recipe for Thai Chicken Sausage Rolls was first published on Sunday Suppers where I am a contributor. Hello! Happy Friday! I know weird that I’m posting on a Friday huh? But just thought I’d switch and mix things up a little! I am actually gearing up a few recipes for you for game day! Woop woop! Game day is approaching and there is still plenty of time for you to plan out your perfect game day menu! 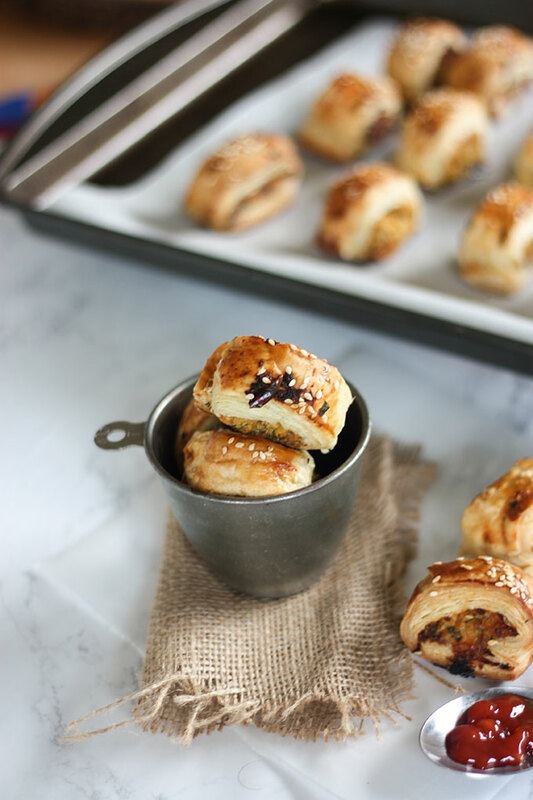 Hosting at home, however, can often be a stressful experience, which is why these Thai chicken sausage rolls should be on your menu! Well, I may not be a huge football fan I will 100% show up to a game day party for the food. And will always bring something delicious for everyone to enjoy! 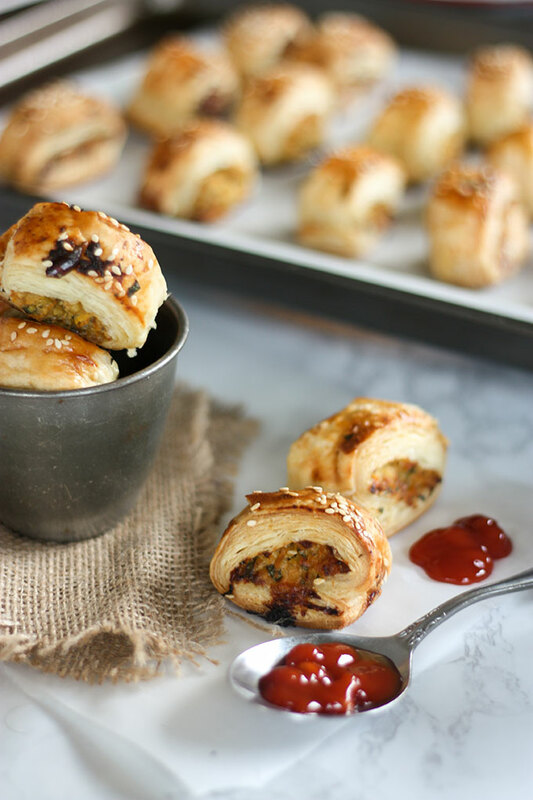 These Thai chicken sausage rolls are a spin on an old favourite of mine, made with my all time favourite ingredients in Thai cooking! Thai food has a delicate balance between flavours – the sweet, salty, spicy and sour. In this particular recipe, the sweet and spicy come from the sweet chili sauce, the sour from the lime, and the salty from the fish sauce. 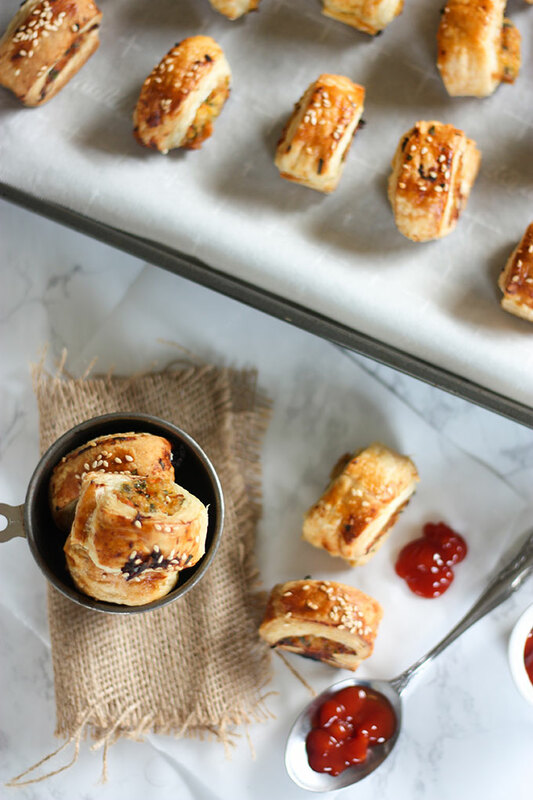 These Thai chicken sausage rolls are a perfect balance, they’re light and fresh and crazy easy to make! So if you’re looking for a perfect game day snack, which can be made ahead of time, this recipe is perfect for you! 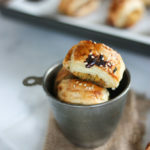 These Thai Chicken sausage rolls are the perfect food for a game day party. Easy to make, quick, fresh and flavorful! 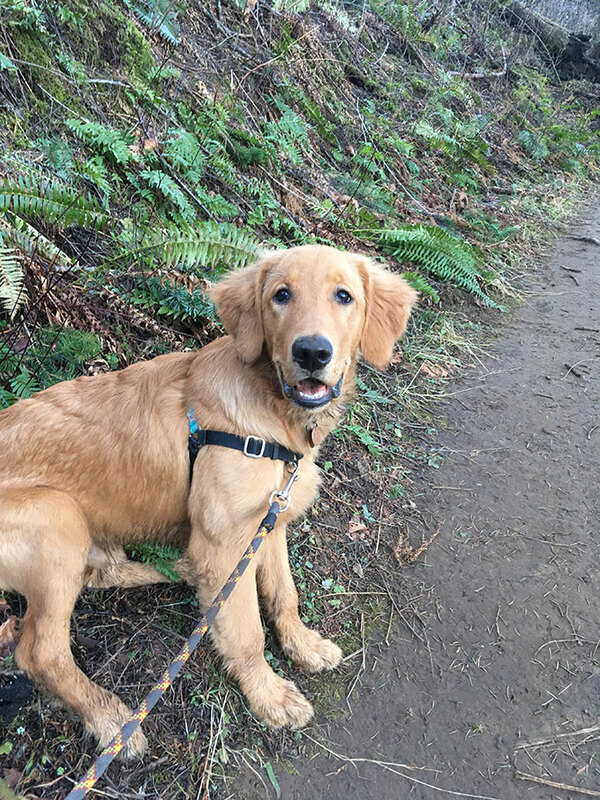 Outdoor pup! His legs are so gangly he kept on tripping on branches and rocks! Put Thai in the name of anything, and I’m all over it!! I think these look so delicious. I’m a sucker for pastry of any sort too!! Yum! Omg yesss! agreed! these are so easy and fluffy and puffy and just generally good 🙂 thanks for the love Katherine! They sound so yummy Georgie! Those thai flavors in that perfectly flaky pastry are amazing! Love it! thanks Deepika!!! these are my absolute fab, a nice little spin on an Aussie/British classic! I’d like to me these but step 4 states to add ginger. However, ginger is not listed in the ingredient list. Can you please let me know the measurement for ginger and if I need fresh or powder please? thank you for pointing that out Anna! It’s 2 teaspoons of fresh ginger 🙂 I added the ingredient back into the recipe card!